March 29th, 2019The March 24th, 2019 Poll Winner for the Passage to Profit Show is: Munch Money! 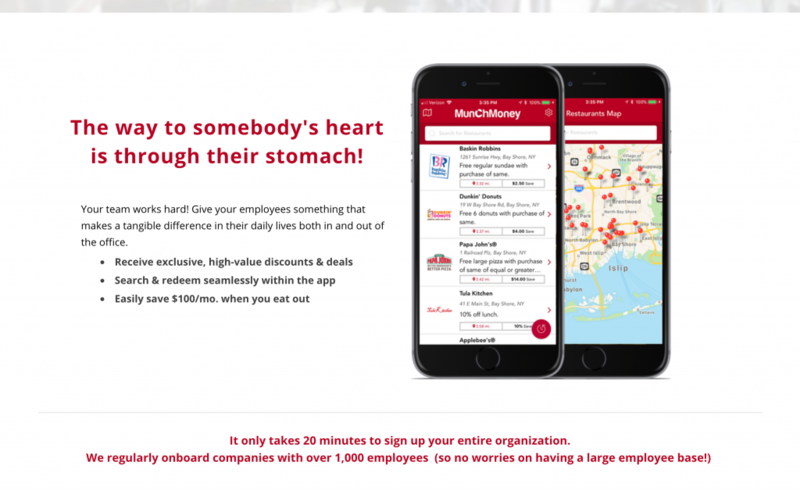 We’re pleased to announce the March 24th winner: Chris Kane with MunchMoney App, a loyalty rewards app for companies, to give their employees exclusive high-value discounts and deals on food orders, at https://www.munchmoneyapp.com. They won this week’s poll with 8 points! “We’ve created MunchMoney because our founders, too, struggled to master their food spending. They couldn’t find any way to save time and money, when and how it was convenient for them. MunchMoney connects you to your favorite places to eat and unlocks exclusive real-time discounts, awesome perks and much more at 45,000 eateries nation-wide. Now, instead of keeping a ton of loyalty apps on your phone, you can have just one app to take care of your entire food budget. Get the rewards you deserve when you need them, rather than at some point in the future.